Knesset Speaker Reuven Rivlin says world community more concerned with creating Palestine than preserving Israel. Knesset Speaker Reuven Rivlin says the world community is more concerned with forging a 'Palestinian state' than preserving the Jewish state. 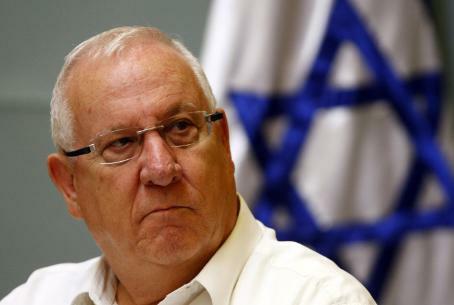 Rivlin's comments were made at a luncheon he hosted for foreign diplomats at the Knesset on Monday, according to Channel 2 Radio. Rivlin, who has met individually with more than 20 ambassadors from the European Union, told attendees their position is one-sided and gives the impression Israel is not a party to discussions about its future. Adopting the PA narrative carte blanch while ignoring Israel's views and concerns, Rivlin told them, only serves to deepen the divide between the sides and can only lead to deadlock. Rivlin also warned the unilateral creation of a PA state would result in an absurd situation in which decisions about the fate of Israel and its existence are taken without its participation or consent. Such a situation, Rivlin said, disturbed him deeply and raised concerns about Israel's ultimate fate.